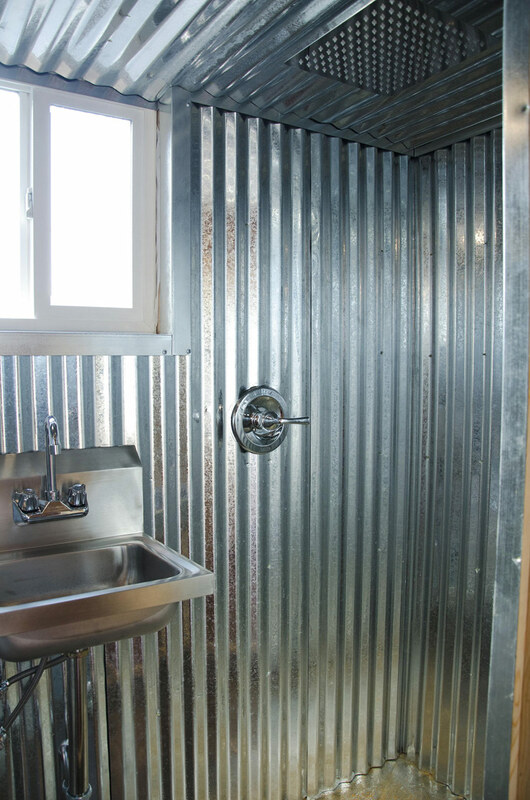 What is the vented appliance installed on the wall over the counter/sink area? Steve, that is a Dickinson marine heater originally created for boats. 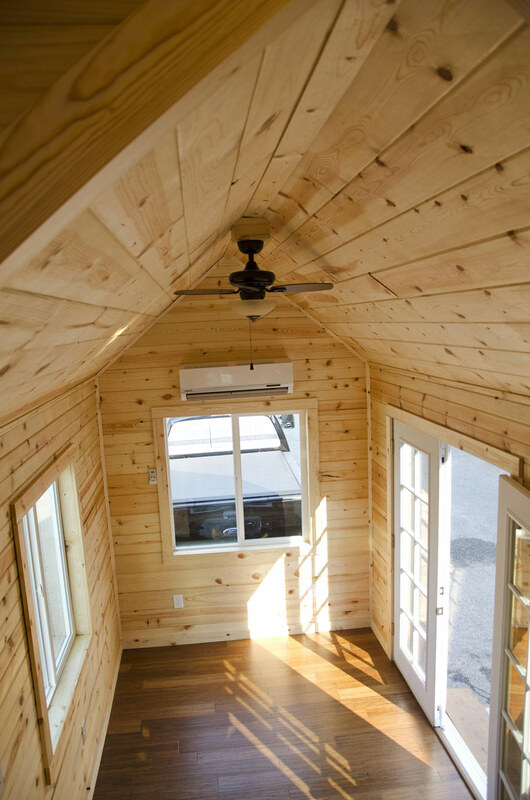 They are popular in tiny homes since they do not take up much space and are said to work great. its a Dickinson marine furnace. 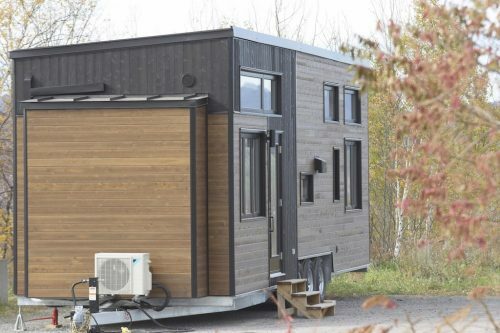 they’re common among tiny houses. I want one of these! It’s my 5 year goal! Is there a floor plan? Looks like the one for me!!! l like this very much. is this for sale? how much? Price $ dementions, weight, and can the water be routed to a inside wall? Other than that it’s perfect!!!! 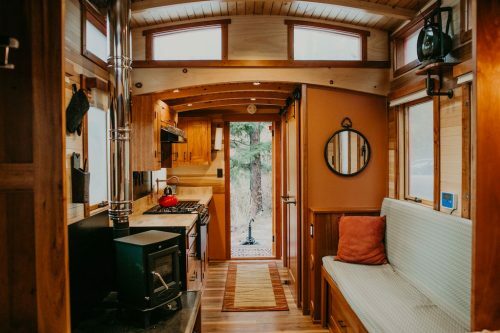 This is the best tiny home yet!! All my issues answered………stairs, the whole bathroom a shower, washerdryer as one unit, storage under stairs, light room due to French doors. And really nicely done in all wood. Very impressive! 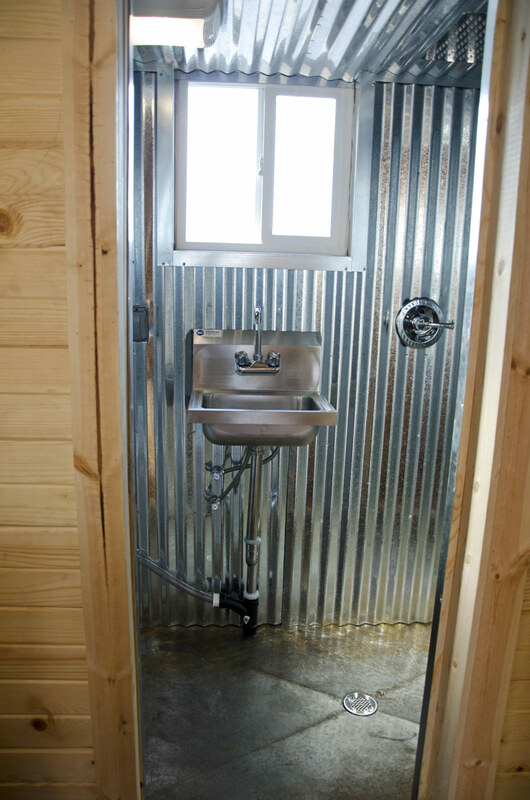 It is cute but I am shivering just looking at that bathroom. That was my thought also. I suppose it would be comfortable if the home we sufficiently insulated. 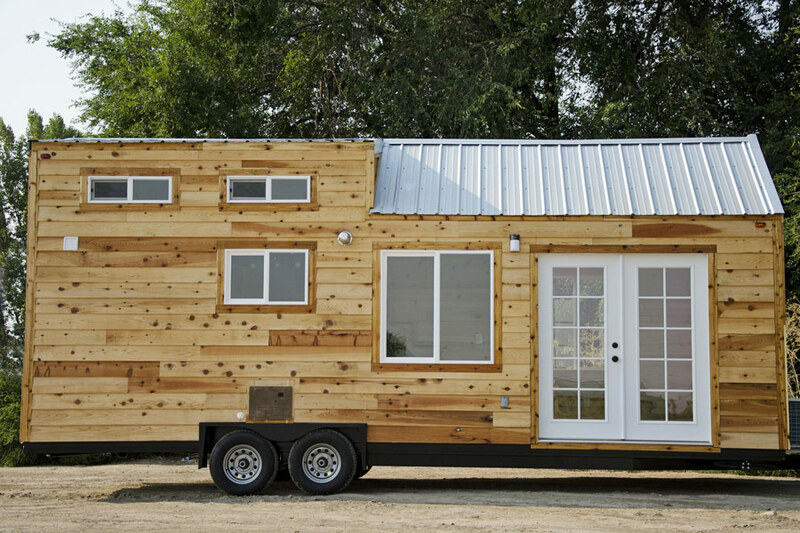 Given the fact that it was built in Idaho, I would think that good insulation would be a given. However, one never knows. This is the best one I have ever seen. Can you direct me were to get building plans fir this house. 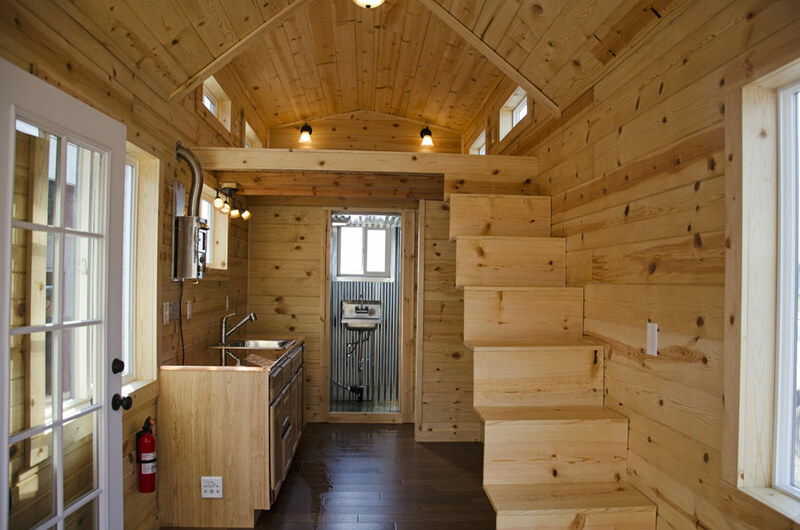 I love this tiny house. This is one I could live in. 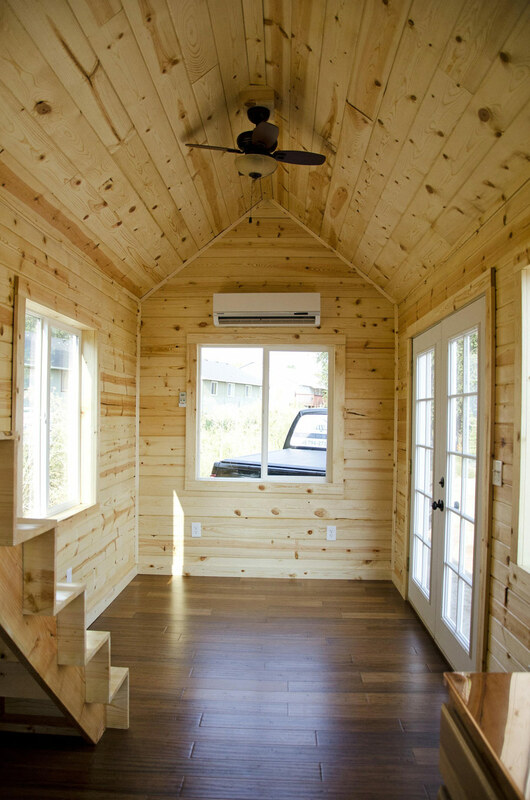 And it is more affordable than a lot I have seen that are close to being livable for me. 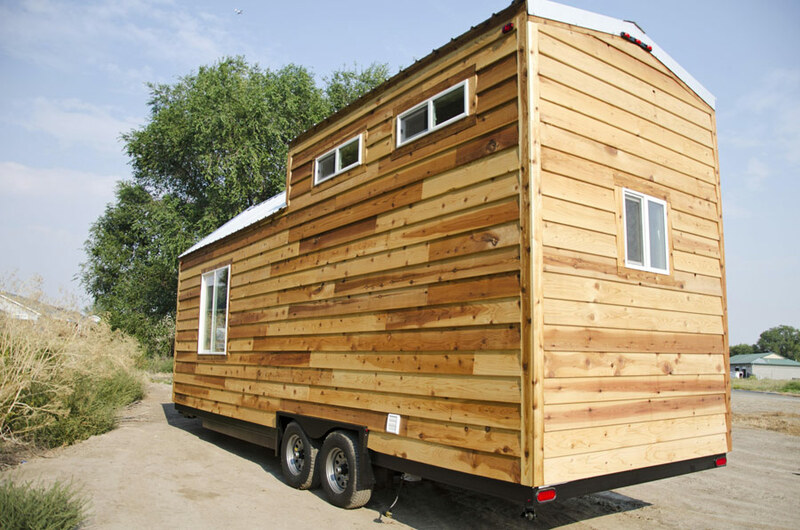 I have fallen in love with the idea of someday getting a tiny house. Love the stair. Love the bathroom. Love the washer/dryer. Love the hanging space for clothes. Love the feel of the layout. Love. Love. Love. Imagine the smell of this house with all of that pine!!! Love it! 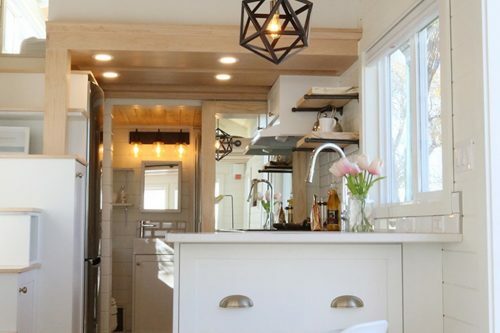 Love this home but where are the refrigerator and stove? 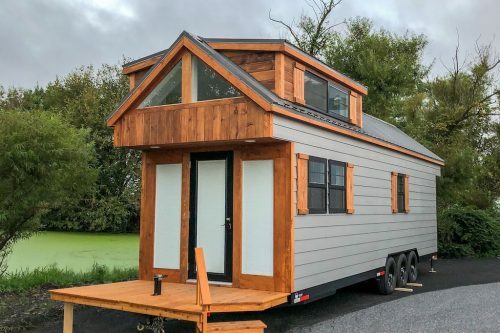 Please send me the price info on this tiny house, where is this located and would you all ship it?